Editor’s note: The first annual PSQH Innovation Awards recognize healthcare organizations who overcame quality improvement challenges. In this article, we highlight the submissions selected as the winners, including the top innovator, Thibodaux (Louisiana) Regional Medical Center. Total hip (THA) and total knee (TKA) arthroplasty are the most prevalent surgeries for Medicare patients in the United States. Such cases numbered over 400,000 in 2014 and cost more than $7 billion annually for the hospitalization alone. Furthermore, substantial variation in the cost per case has raised questions about the quality of care provided to patients undergoing total hip and knee replacements. Thibodaux Regional Medical Center has diligently focused on the Institute for Healthcare Improvement’s (IHI) Triple Aim: improving the quality of care, reducing the cost of providing care, and providing a great patient experience. To help achieve this, the hospital had previously implemented an enterprise data warehouse and a broad suite of analytics applications. Using the analytics platform, Thibodaux Regional examined all of its hospital care processes and determined where the greatest resource consumption and variation existed. Total joint replacement for hips and knees emerged as one of the top two cost-driving clinical areas with variation in care processes. > Not all patients were medically cleared for surgery prior to their procedures, which periodically caused delays or postponements on the day of surgery. Not only were these delays costly, but they also frustrated patients and their families. > There were no clearly defined or consistent preoperative or intraoperative processes, which led to provider-specific variations in care and decreased efficiency. > Patient understanding of the pre- and postoperative expectations and care processes varied, which negatively impacted some patients’ ability to effectively participate in their care. 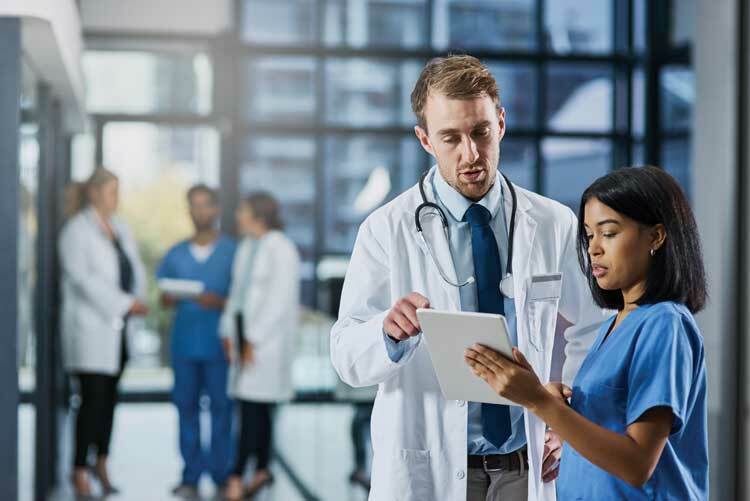 Thibodaux Regional’s previous quality improvement efforts had shown that when it focused on the Triple Aim, used data-driven approaches to improvement, and provided physicians with the tools to lead change by engaging cross-functional teams, it could transform care. Thibodaux Regional’s Care Transformation Steering Team commissioned a Care Transformation Orthopedic Team to improve the care of THA and TKA patients. The cross-functional team included orthopedic surgeons, an anesthesiologist, an internal medicine physician, registered nurses, clinical directors, physical therapists, a pharmacist, a data architect, and an outcomes analyst. The Care Transformation Orthopedic Team understood that clear goals provide focus, increase motivation, and improve group cohesion. The team established goals that included decreasing the risk-standardized complication rate, the variable cost per case, and the LOS for total hip and knee replacements, as well as maintaining a high patient satisfaction score. > Redesigned preop workflow to ensure medical clearance was obtained prior to scheduling surgery and redesigned lab ordering processes to reduce inadvertent over-ordering of labs. > Implemented a mandatory total joint replacement class for all patients undergoing elective hip and knee replacements. This class focuses on the patient experience, setting their expectations about pre- and postoperative activities. Patients are encouraged to bring a family member or significant other who will be helping them with their recovery. Patients also complete an assessment that provides insights into their postoperative needs. > Redesigned pre- and postoperative order sets, eliminating unnecessary or redundant orders and ensuring up-to-date, clearly defined, standard practices for patients undergoing hip and knee replacements. > Revised order sets, provided physician education regarding current evidence-based transfusion practices, and implemented new requirements for physician authorization prior to transfusion, all to ensure appropriate blood products utilization. > Redesigned the intraoperative workflow, moving away from general anesthesia. The team also standardized the supplies used for total joints, discontinuing the use of supplies that did not add value or improve patient outcomes. > Required that all elective hip and knee surgeries be done on Mondays and Tuesdays, with overflow into Wednesday, so that patients could be discharged by the end of the week. > Focused on improving early mobility postoperatively, promptly discontinuing indwelling urinary catheters after surgery, getting patients out of bed the day of surgery, and using multimodal pain management to decrease the use of opioids. The hospital analytics application provided near-­real-time data, giving valuable insights into complication rates, average variable cost, length of stay, compliance with the newly defined pre- and postoperative processes, and patient satisfaction. The team could immediately see the impact of their work on outcomes, which increased stakeholder commitment and willingness to change. Thibodaux Regional plans to continue its focus on the IHI’s Triple Aim, using data-driven approaches to transform care. The Care Transformation Orthopedic Team is exploring opportunities to further decrease the costs in the operating room. Although initially implemented with orthopedics for patients preparing for total joint replacement and with cancer-specific pathways, WellFit will expand services to include surgery, heart, diabetes, spine, respiratory, functional fitness, rheumatology, chronic pain, weight management, and mental health pathways in early 2019. The system improved its focus on the needs of behavioral health patients by forming a Complex Behavioral Health Patient Program (CBHP). The CBHP is designed to proactively hold interdisciplinary huddles to determine what actions need to be taken to address patient needs. After 16 months, the CBHP has helped reduce reported physical assaults against healthcare providers in inpatient, non-­behavioral health settings by 50%. The hospital improved its readmission rate by overhauling its processes using Lean/Six Sigma quality improvement methodology. 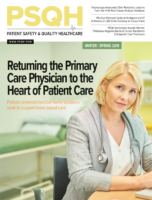 After a year, all-cause readmissions dropped from 16% to 7%; HCAHPS (Hospital Consumer Assessment of Healthcare Providers and Systems) scores for care coordination, medication education, and discharge planning all improved; post-discharge patient follow-up calls increased by 20%; and patients discharged with an appointment within seven days increased to 22%. 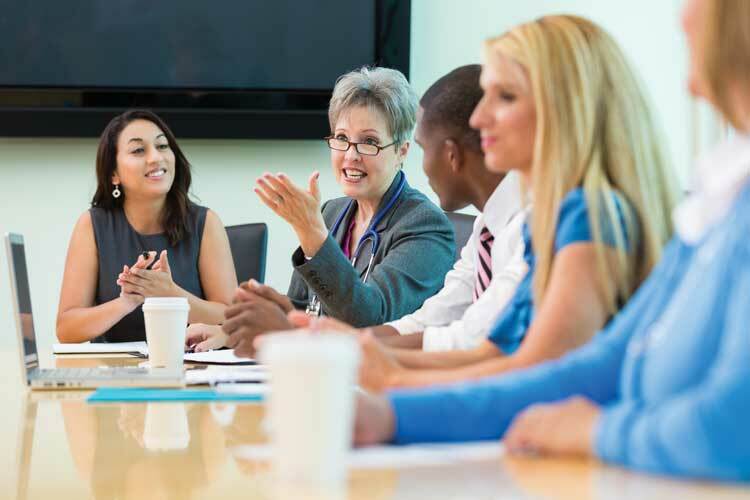 The organization reduced its rates of catheter-associated urinary tract infections (CAUTI) and central line–associated bloodstream infections (CLABSI) by improving staff education on the latest evidence-based guidelines. The efforts focused on confidently held misinformation (CHM), which exists when clinicians are sure they are right, but are actually wrong. Using the Amplifire eLearning tool, Intermountain identified areas of CHM regarding CLABSI in 3,707 participating nurses and used learning modules to improve their knowledge about the guidelines. A similar effort around CAUTI was conducted for 4,511 nurses. The hospital improved its medication reconciliation process for patients being discharged with a multifaceted approach that included identifying the types of quality errors involved. Using data analytics, the hospital developed an automated error detection tool. A “Med Rec Cleanup Day” was held in which seven providers volunteered to clean up the charts of 200 current patients. After 15 months, Seattle Children’s improved its overall qualitative error rate from 19% to 13%, a decrease of one-third. The hospital began tracking the percentage of patients with errors on their medication list; that number started at 50% and decreased to 40%. In addition, various departments have improved their medication list error rates.